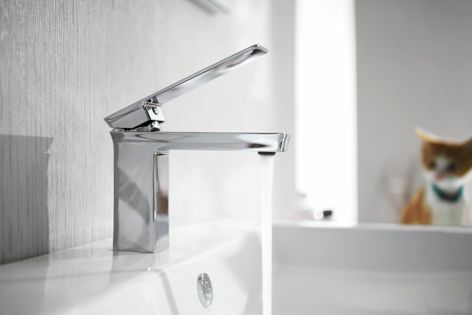 Bravat’s elegant and practical Phillis basin mixer features modish square edges and a polished chrome finish. The Phillis basin mixer by Bravat features an elegant design that provides bathrooms with a tasteful and timeless aesthetic. With its polished chrome finish and modish square edges, the mixer combines style, practicality and functionality.